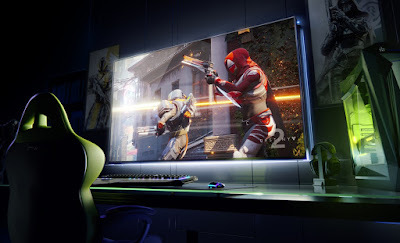 For all those people obsessed with building the ultimate budget gaming PC, AMD’s two new low-cost chips will make them happy. While both chips won’t set hardware snobs’ worlds on fire, both will offer “discrete”-class gaming on a chip. The Ryzen 5 2400G will offer comparable gaming performance to an Intel Core i5-8400 and a GeForce GT 1030 in many games. At $169, it will cost far less than the $288 the Intel and Nvidia combo will cost. 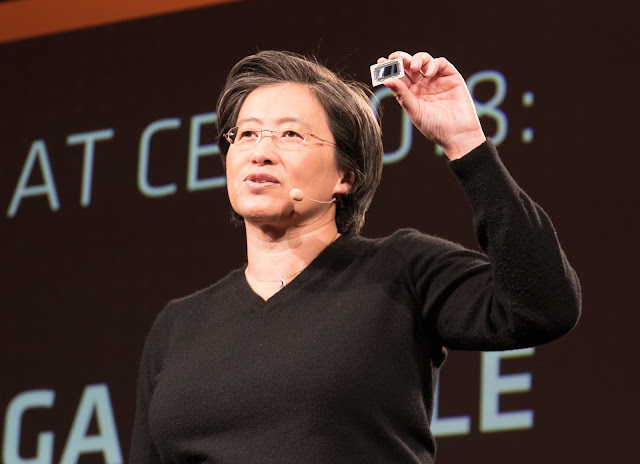 AMD said a new iteration of its hit Ryzen CPU, called Zen+, would come in April, using a new 12nm process instead of the current 14nm process. The company didn’t explain the nomenclature, but it did say the CPUs would clock up higher than current Zen-based chips. The new chips will feature the newer Precision Boost 2 frequency control, and an improved XFR2 clockspeed booster. 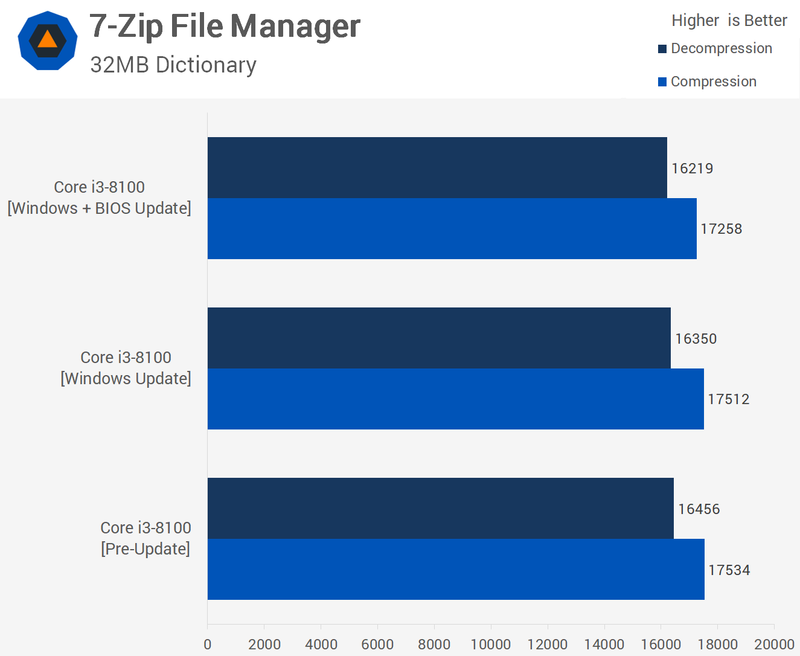 The new chips will also include an improved cache, and memory speed and latency improvements too. All told, officials told us unofficially to expect at least a 10-percent performance increase. With Zen+ out, AMD said to expect Zen 2 in 2019 using a new 7nm process. 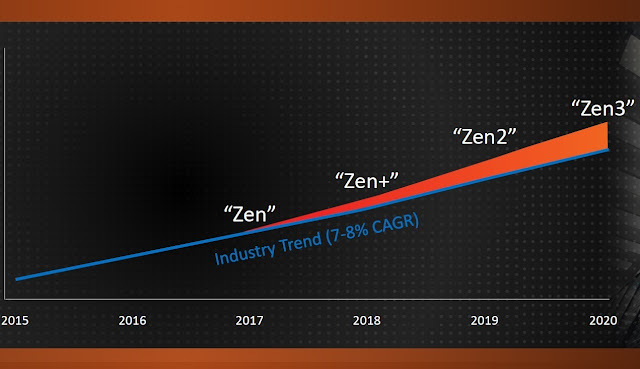 A year later, Zen 3 will roll out using an improved 7nm+ process. Details of the chips are still too far off to reveal, but AMD officials said to expect them to offer far more than the usual 7- to 8-percent performance bumps we’ve seen with typical “industry” updates. That’s AMD’s shorthand way of throwing shade at Intel. 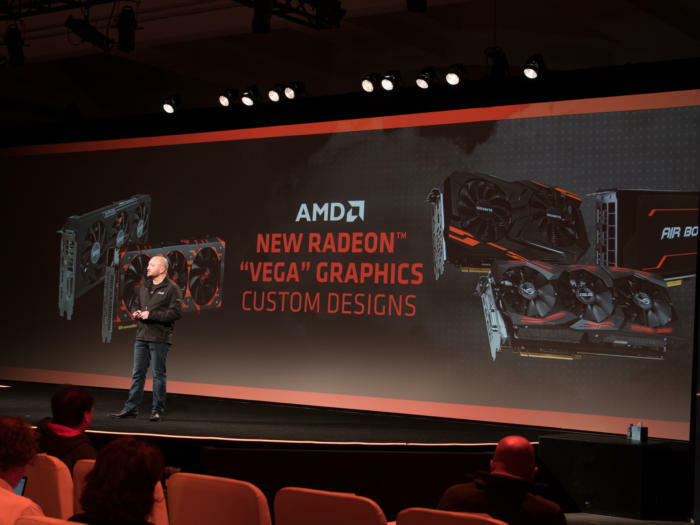 AMD won’t ignore its graphics customers either, and said this year would see its first 7nm-based Vega chip. Gamers, unfortunately, won’t be the first ones to get them: The first 7nm Vega parts are aimed at its machine -earning customers and will sample to them this year.